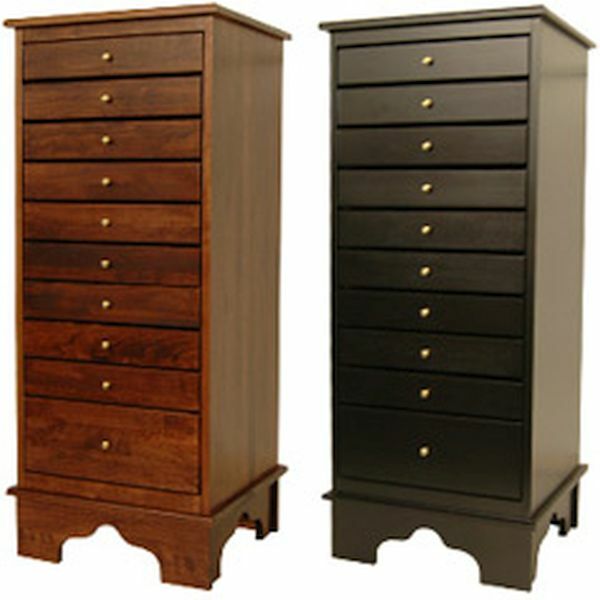 These High quality Hand-Crafted music storage chests are made right here in the USA, from Solid Black Cherry Wood. Each cabinet comes with 10 pullout music drawers and the bottom drawer is double size to hold lots of books. The knobs are solid brass. They measure 42" Tall x 17" wide x 15-1/4" deep. Inside Drawer size 14-1/8" x 11"
Shipped fully assembled. - Approx. 75 lbs. 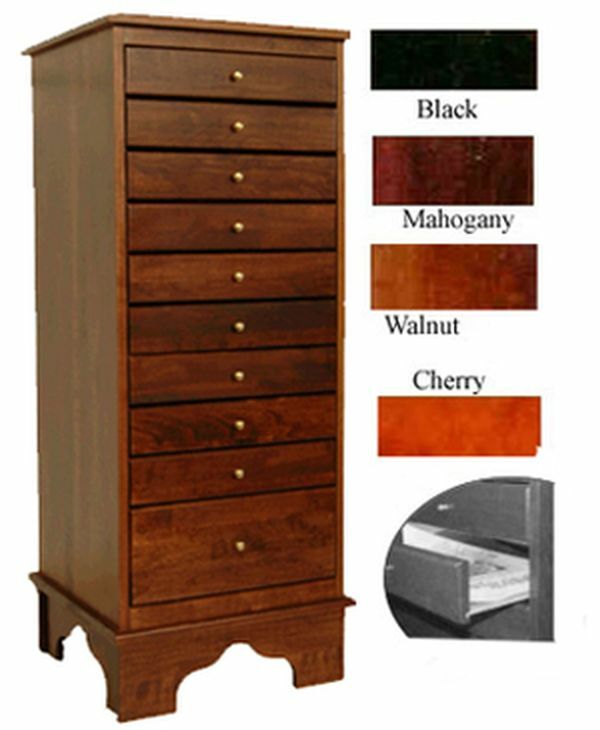 These cabinets are made to order - manufacturing time 15-25 business days. As a first-time customer, I ordered a 10-drawer music cabinet, Jansen artist bench and piano lamp using the Piano Showcase website. Everything arrived promptly, in excellent condition, and I'm really pleased that Piano Showcase carries so many items made in America. I did receive a different lamp than the one I ordered, but liked it even more, and Customer Service was a pleasure to work with. I ordered two of these in black, to match our piano. They're beautiful! Just what my husband wanted for storing his large collection of piano music. Just so other shoppers know: there are no sides to the drawers, but we don't expect that to be a problem. Packed well enough to survive a long bumpy ride up my driveway and full flight of stairs up to my front door. Thanks! Thank you Judith, we're delighted to know you're happy with your Cabinets. Just a note: All our Music Cabinets have the same style drawers. 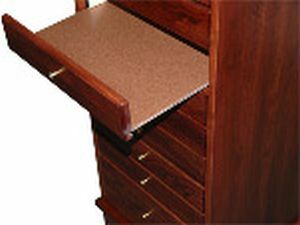 The reason the drawers have no sides, is to make it easy to remove & replace the music. I am totally satisfied with my purchase of the 10-drawer music cabinet. The shopping experience was easy and straight-forward and the shipping was well-packed and timely. The cabinet is a beautiful piece of furniture that perfectly matches the Steinway, and holds every single piece of music I have accumulated over the last 40 years. I couldn't be happier. Thank you. It is a great music cabinet that finally organized the area of our living room where the piano and guitars are. It looks so nice near the baby grand piano and helps to organize it. The cabinet is now full of music instead of the sheet music and music books stacked on top of a table and on the piano. A nice piece of furniture that fits in with the rest of the room.